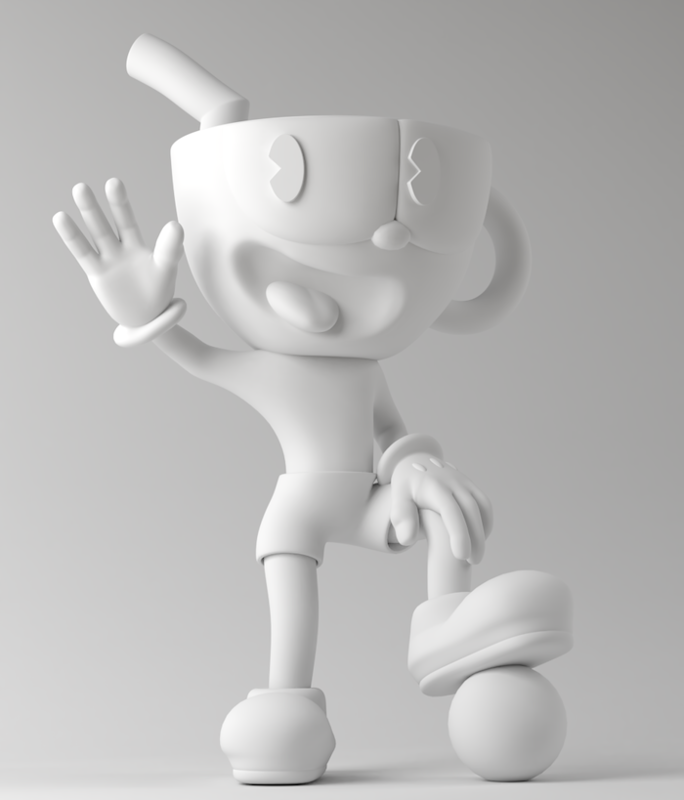 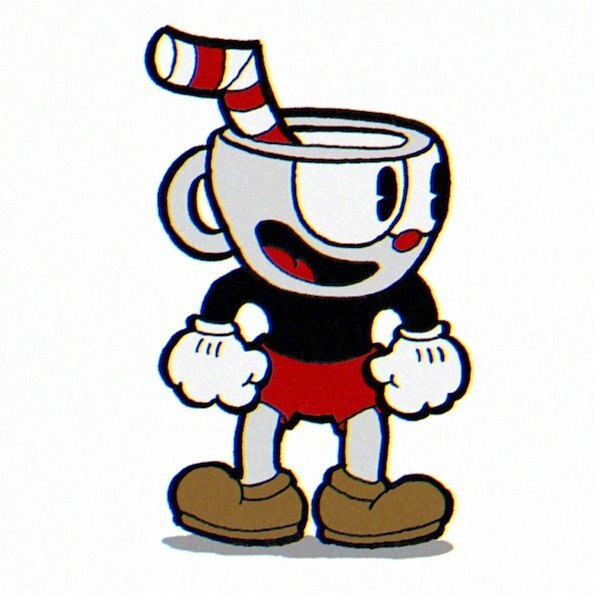 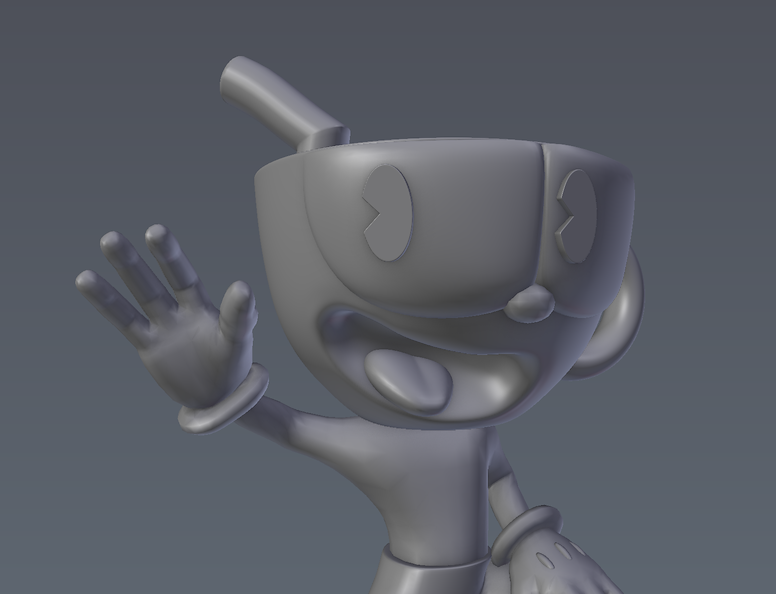 This fan art work in progress is Inspired by the video game Cuphead ©. 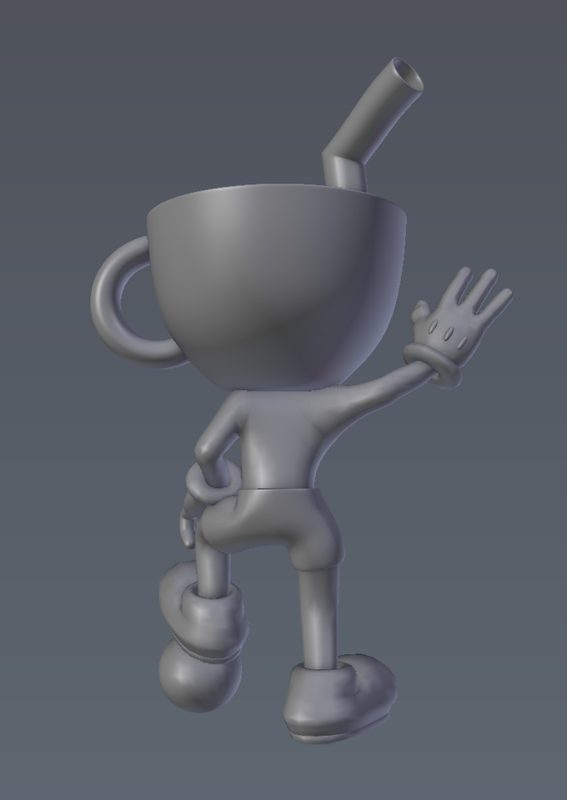 I wanted to challenge myself by interpreting a 2D character, and designing him to be brought into another dimension. 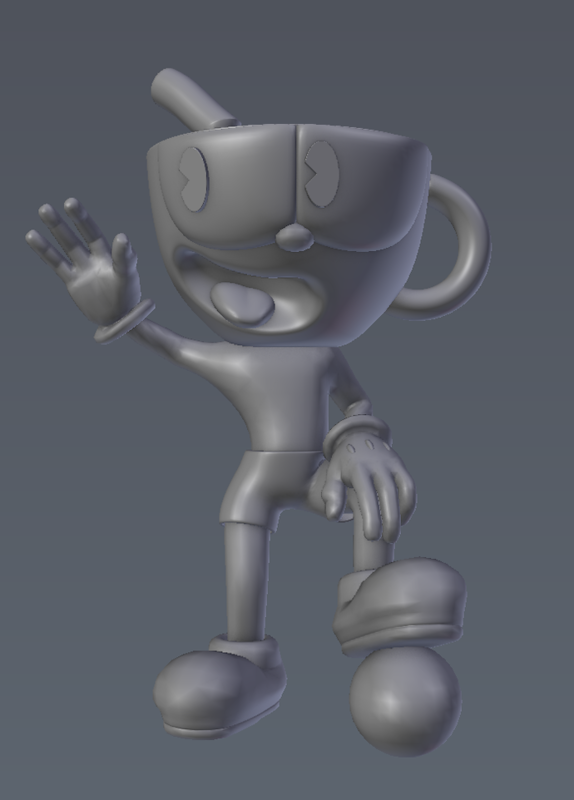 Texturing and materials are next up along with some additional minor tweaks to the model.